Once the preserve of the wealthy, cruise vacations have become accessible to all. So why are cruise vacations so popular, and what can you expect from your trip? Perhaps the main advantage of a cruise ship vacation is the chance to travel to several different exotic places without transfers and needing to unpack every day. Other advantages include delicious and varied food, comfortable accommodations, a huge range of activities, facilities and entertainment, and attentive service from English-speaking staff. 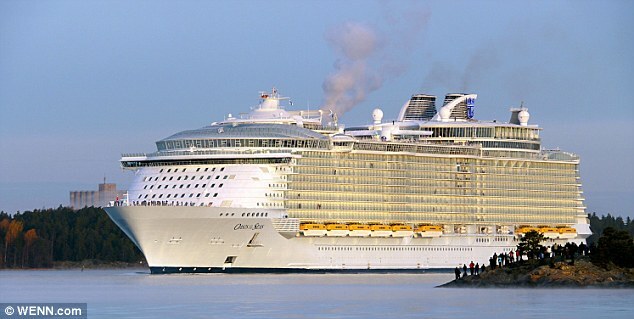 Most modern cruise ships are like floating cities, carrying 2,000 to 5,000 passengers. The world’s largest cruise ship is Royal Caribbean’s “Oasis of the Seas”, which carries over 6,000 passengers and boasts the first-ever park at sea, an aquatic amphitheater and a beach pool. Cruise voyages range from a few days to a three month circumnavigation of the globe, with prices ranging from several hundred dollars to over 100,000 dollars. It’s too expensive! A cruise vacation offers an all-inclusive deal with few extras, so represent excellent value. They are too formal and stuffy! On today’s cruise ships you can eat where and when you wish, and it is no longer necessary to “dress for dinner”. There’s no room to move! Modern cruise ships are vast, allowing you plenty of space to move around and keep active. Some ships, like the Oasis of the Seas, even have jogging tracks! There are too many old people! There is something for every age group aboard modern cruise ships. The sea is too rough! Large modern ships are fitted with stabilizing equipment and can cope with the roughest seas. I’d be bored to tears! Today’s cruise ships offer so many activities there are not enough hours in the day to take part in everything, as well as all the port excursions. So if you’ve never tried a cruise vacation for any of these reasons, perhaps it’s time to think again. Over 19 million cruise passengers a year worldwide cannot be wrong!